Hastings resident Tamra A. “Tammi” (Allison) Hughes, 55, passed away Thursday, January 24, 2019, at Mary Lanning Healthcare, Hastings, NE. A Celebration of Life will be held at a later date. Memorials may be given to the family. There will be no viewing or visitation. Tamra was born March 10, 1963, in Holdrege, NE to Roman & Felice (Reandeau) Allison. She graduated from Hastings High School in 1981 and received her Associates Degree in paralegal studies. Tamra was a cook at the Homestead. 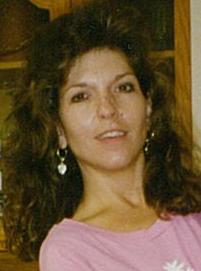 Tamra loved watching Steelers football and she spent her time doing puzzles and painting. She enjoyed babysitting her grandsons. Tamra was preceded in death by her parents.